As reported by Re/code, Honda unveiled the 2016 Accord at its research center in Mountain View, Calif. in front of gathered mainstream and tech press. The automaker chose the venue as a nod to Silicon Valley's impact on the automotive industry, the publication said. While Accord offers support for both CarPlay and Google's Android Auto platform, the car's infotainment system is running a modified version of Android. CarPlay and Android Auto can be thought of as smartphone-powered user interfaces that piggyback on top of a main operating system. For example, Ford's SYNC 3 touchscreen console runs Blackberry QNX, but will soon offer support for CarPlay. Honda was one of the first carmakers to pledge support for CarPlay when Apple officially introduced the product last March. The announcement came just months after Honda introduced Display Audio, an infotainment system that offered deep integration with iPhone. 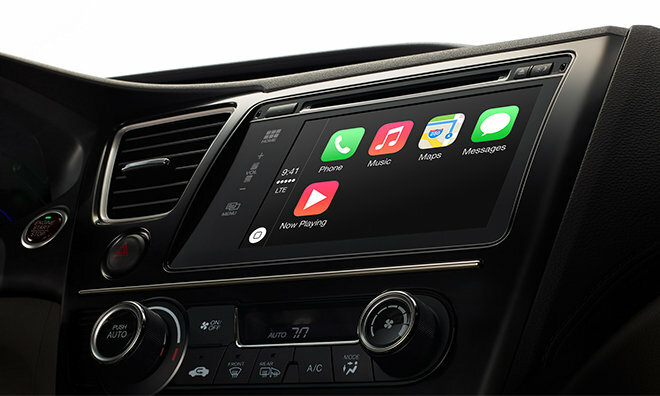 Apple's CarPlay has seen a windfall of support over the past few months as automakers let loose details on their respective 2016 model year lineups. Most recently, General Motors in June announced upcoming support for 2016 GM and Buick models just after its Chevrolet brand revealed CarPlay integration for this year's Corvette Z06.